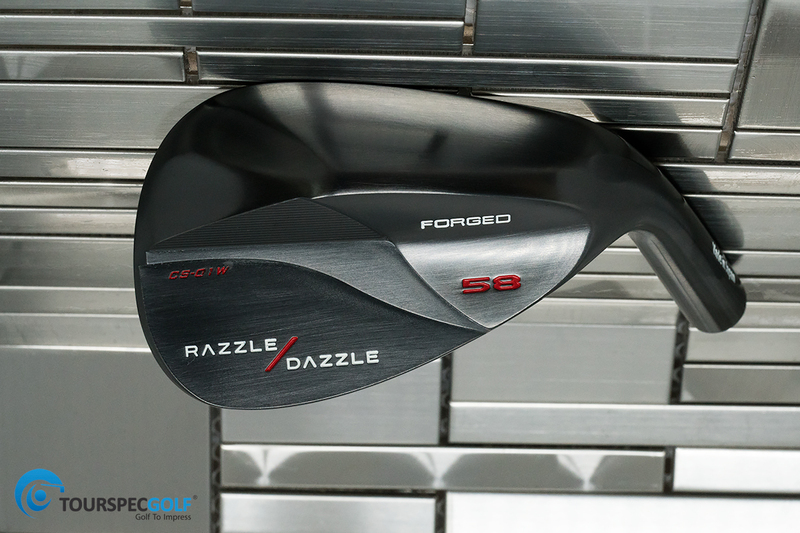 A couple weeks ago I posted photos of a new wedge by a company called Razzle Dazzle. A long time friend and associate Abe-san formerly of RomaRo Golf who I haven’t seen in years surprised me with a tap the shoulder at the 2016 Japan Golf Fair “Hey Chris!” what a pleasant surprise to see he is doing well and has started a brand that immediately had JPGA tour players support. 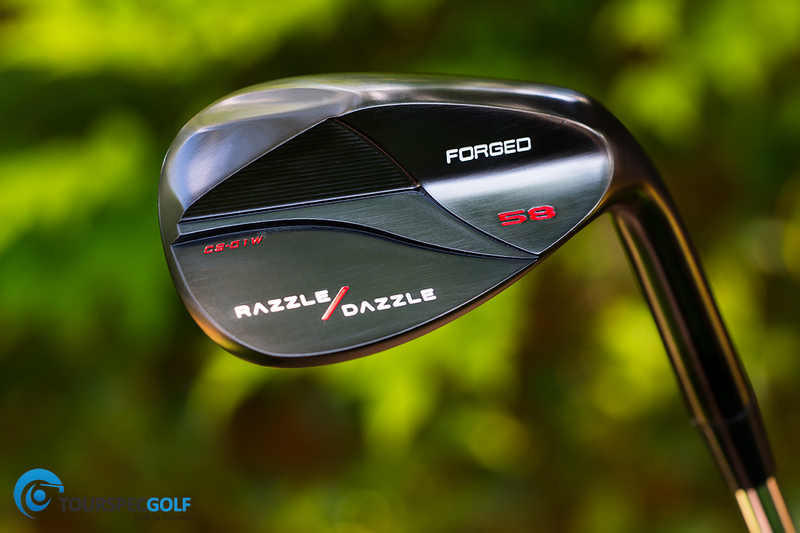 These wedges are unique and feature a high bounce in 13* and 15* making them very easy to play. A “Claw Sole” has been notched into the toe area it starts almost midway on the sole with enough relief to give the player a good amount of play to open and tilt the face. 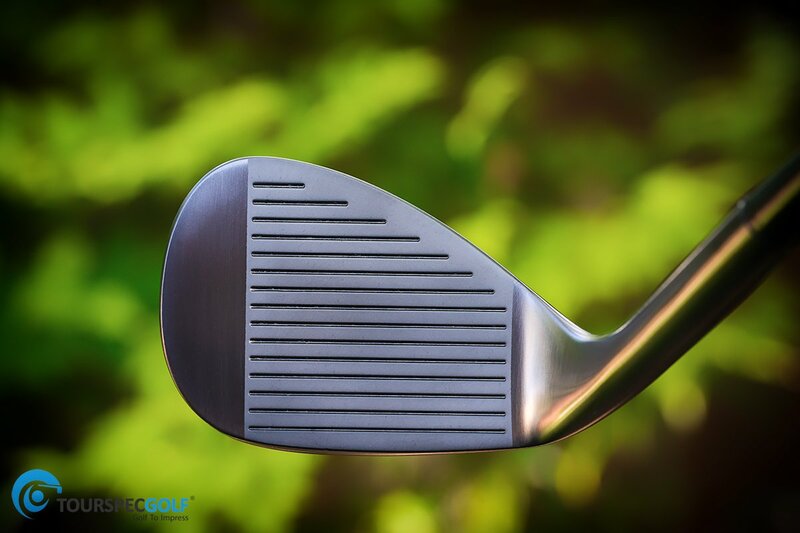 Gotta love the intricate CNC back face on this wedge, the modern font and special claw sole toe relief sole grind. 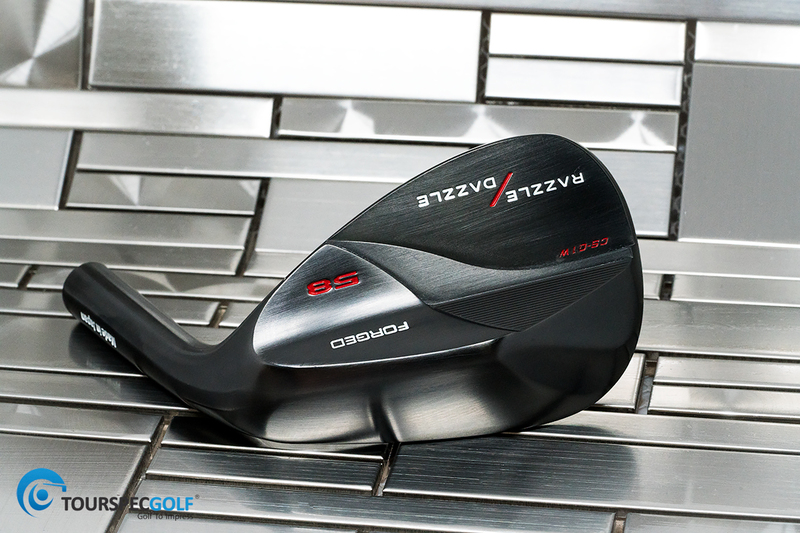 In black boron this wedge looks more stealth and manly. Another angle of the sole grind. 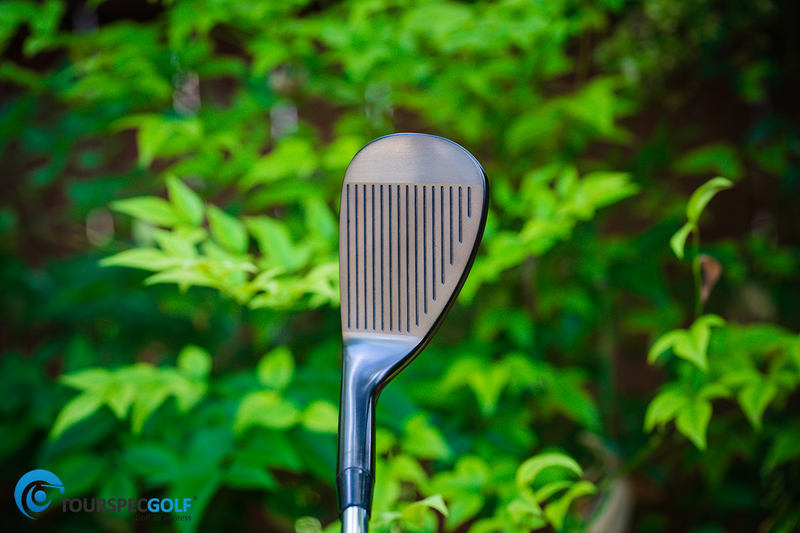 High bounce is usually considered best for steeper descending angled attacks but Abe-san has specially developed this sole to sit flatter and flow through turf evenly for the player who slides in near level at impact. For some reason the majority of golfers are hunting for low bounce wedges, while there is nothing wrong with that I think most players would notice the benefit of a higher bounce and wider sole. 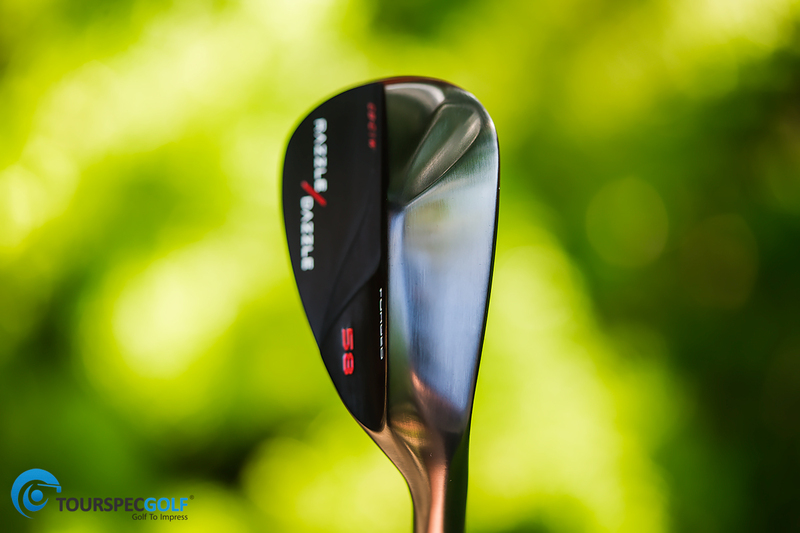 As you can see above this wedge especially in a dark finish doesn’t look oversized at all. It has no offset it’s top line is thin. In Black boron the face shape also looks very different, this goes to show what color does to the eye. in a light or brighter finish some clubs look larger, in black like with the human body and clothing things look more visually trim and as we all know the visuals and how the club head sets up to the eye is one of the most important factors in the game. Hope you enjoyed the photos! If you would like to purchase these we have them head only in the TSG Pro Shop or you can inquire with [email protected] to have one custom built/modified/or spec’d out for you.